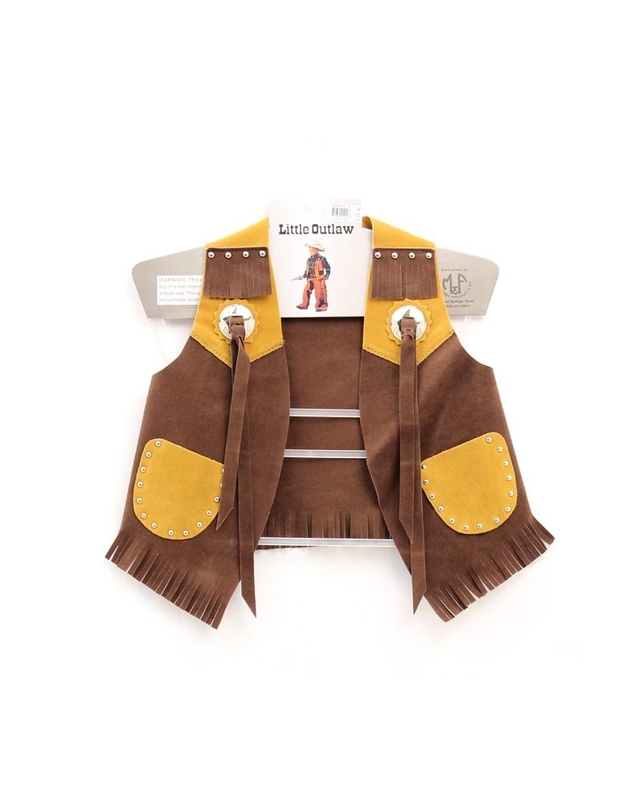 This faux suede rodeo vest by M & F Western Products® will offer hours of fun for the future bull or bronc rider. 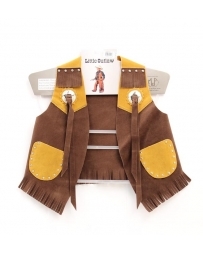 Any little cowboy would love to have their own vest to complete that rodeo look. This is a toy and not intended for actual use. Size Chart: S (Ages 2-3), M (Ages 4-6), L (Ages 7-10) and XL (Ages 11-12).